- Guitar made in Asia (in Korea I guess). Very nice-looking guitar, good manufacturing quality I only noticed a few small imperfections in the pickups cavities but nothing too serious. Perfect fretting. But the fingerboard inlays could be better and they show some glue marks. Very pleasant neck. Good action. Very easy access to the upper frets. Quite light. 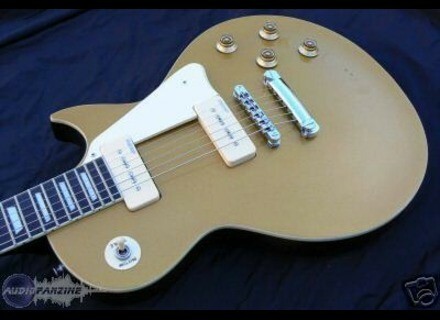 Unlike a Gibson! The guitar has been well adjusted... no fret noise and you immediately get a good sound. The original string set is a 10-46. The Wilkinson hardware is good and the guitar stays in tune. But I replaced the string set with a 11-48 so that the guitar stays better in tune. With the original 10-46, the tuning stability wasn't perfect and the strings were too dull for my taste. 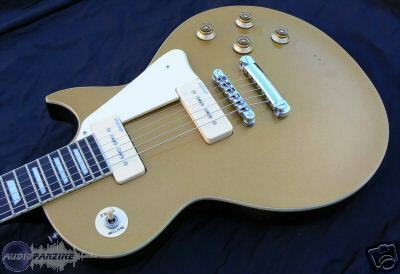 The pickups are not real P90 but a stacked version... in other words P100. They have less dynamics and punch than the real P90. I play mainly blues and jazz-funk. The sound is very good for both. The clean sound is very good. The bridge pickup sounds quite round and biting at the same time. I rarely use the bridge pickup for clean sounds. The combination of both pickups provides a powerful single coil tone. Very nice in clean mode. The crunch sound is powerful. The guitar has a strong playing response. You can easily get a fat crunch sound with adequate amp settings. The distortion sound is just huge. Regarding the controls, the sound becomes slightly dark when you decrease the volume... a small modification would be interesting. I've had this guitar for over one month. The value for money is impressive. Of course some finish details (inlays, paint around the pickup cavities) should be improved but they are only small details and the sound is great! I tested this guitar together with the Peter Green model, which is also very nice but the sound of the GT seduced me. Don't hesitate to buy it considering its price... This guitar is a nice instrument for both beginners and experienced players. It would've been great to learn guitar with such an instrument! I finally replaced the original pickups with real Lollar P90 and the original controls with CTS pots. The sound changed a lot. It's much wilder and has greater dynamics. I can get now lots of different sounds. I recommend you to make this upgrade!